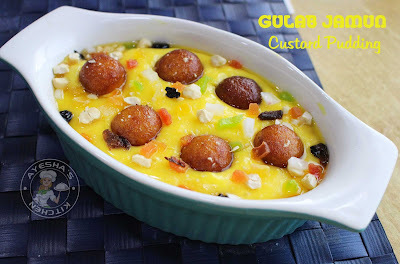 Melt in mouth gulab jamuns are all time favorite for everyone which suits all occasions too. Desserts, especially variety and unique desserts are a crowd pleaser. So do try this eye-catching fusion dessert to enlighten your party meal. 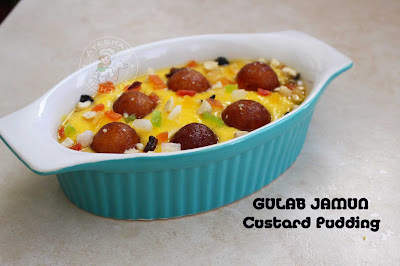 Here is the recipe showing how to make easy simple pudding recipe/ yummy dessert/unique dessert recipes/ gulab jamun custard/ perfect gulab jamun recipe. Let them soak for minimum 2 hours. Now gulab jamun is ready. Now let us make the custard. Boil the milk. Once hot, add sugar. Mix very well. Then add vanilla essence and again mix it. 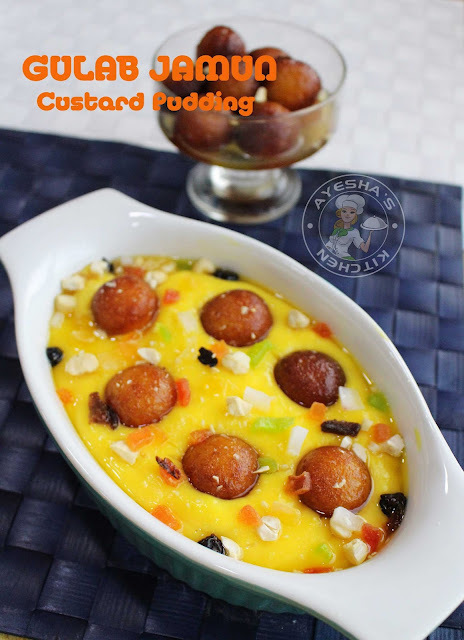 Meanwhile, make a paste of custard powder by mixing it with water. Make a thick paste. Now once milk gets boiled, make the flame to very low. Add the custard paste and stir very well. Combine the custard well by stirring continuously over a low flame. Remove from flame. Pour this prepared custard mixture into the pudding tray. Spread it evenly and tap it gently. Drizzle some sugar syrup. Sprinkle chopped cashews and dried fruits. Keep refrigerated for 6 hours to set. 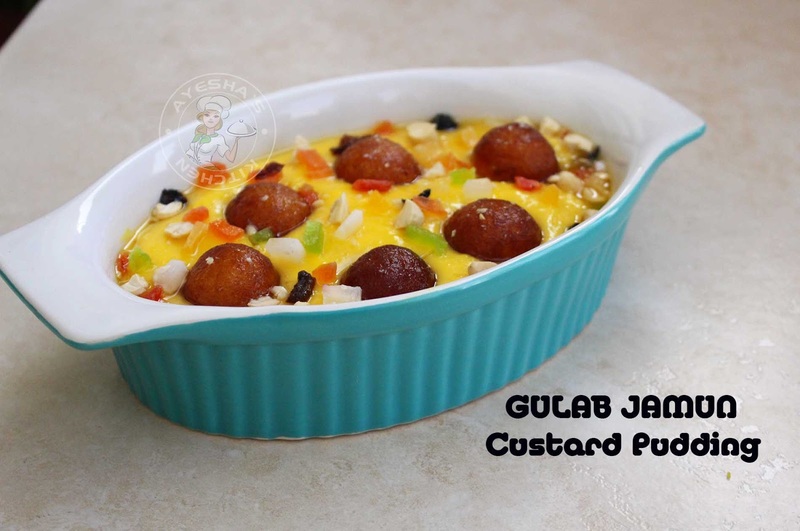 Please watch the video showing how to make GULAB JAMUN CUSTARD PUDDING.